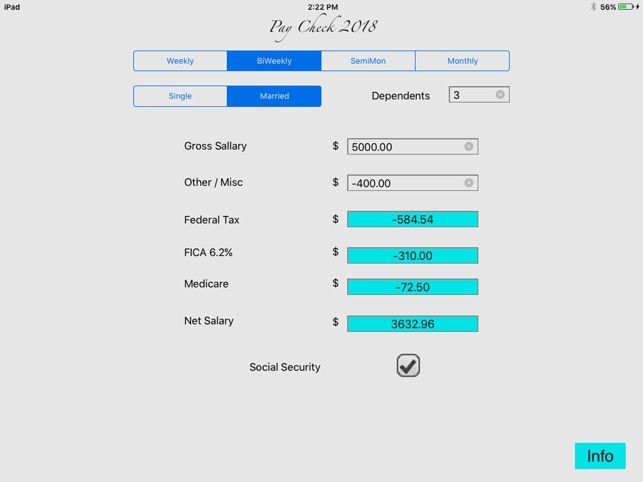 This utility calculates US Federal Withholding, Social Security and Medicare taxes during calendar year 2018. It allows for setting the Social Security rate to zero after a maximum salary of $128,400 is reached. If federal withholding or tax rates change during 2018, an update will be released. 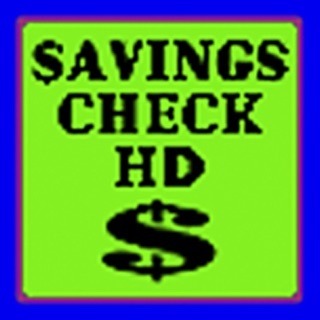 This utility is simple to use and is designed as a personal "Pay Check" check and a small business payroll calculator. Update new withholding tax tables for calendar year 2018. I thought this would be an interesting app to have, but it does not work well. It is difficult to clear the fields after each use. It definitely needs more work. This app can't even complete simple calculations- very disappointing. © Vincent J Sansevero Jr owner of all rights to application.